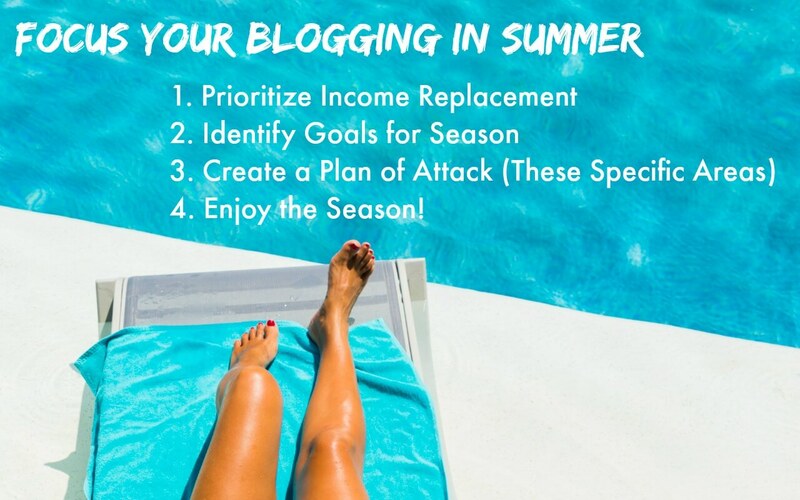 Blogging in summer can be a huge blow to the ego, psyche, and income. 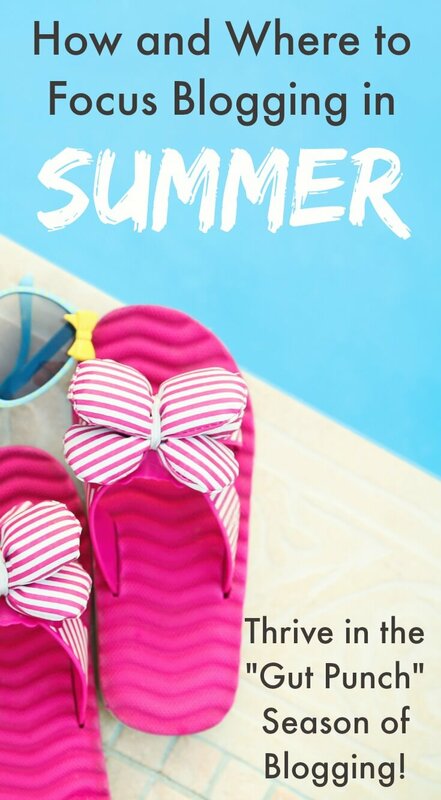 This post identifies steps to plan for summer blogging slumps so bloggers can get the most of out of the season. decreased interaction on social media. There are affiliate links in this article which means, at no additional cost to you, we could receive compensation for our recommendations. You can read our full disclosure policy. Blog income, comments, and social shares are just a few areas which can turn into the biggest gut-punch decline of summer traffic. It’s okay to wallow for a few days, but we can find much more productive ways to use that time. Pick one or three of the following and map them out on your summer calendar. Be honest with yourself. You’ll likely be doing less blogging in summer (and enjoying your family and the pleasant weather more), so start with 30-minutes a day. What can you realistically work on in that time? Based on that, set a completion date for the tasks. If you have more than that amount of time, add in more work with additional due dates. Blogging in summer is a bit less ‘strict’ for most of us and we can use that time to work on ourselves. Focus on professional development (courses, apps for blogging or editing, a book list for summer, etc.). Can you learn and optimize a new social platform (Snap, Mastadon, whatever else pops up next week)? Take a course on maximizing affiliate marketing earnings or how to improve blog photography. Learn how to repurpose blog content for videos. Practice video production, editing, and promotion. I’ve been blogging a long time and although the summer slump is real, there is a lot of progress to be made. Build out your editorial calendar with seasonal or high summer search traffic niche content. Load up social queues expected to remain engaged over the summer (Instagram, for example). Use purchased content to reduce blog’s workload on site or for sharing on social media and newsletters (but not on your site). Get Free Access to Our Resource Library! One of the most valuable gifts you can give your business is to have a plan. Mapping out your Fall blogging season now can set you ahead of the curve and take off the pressure. Develop your fall editorial plan using trends, popular content, and SEO research. 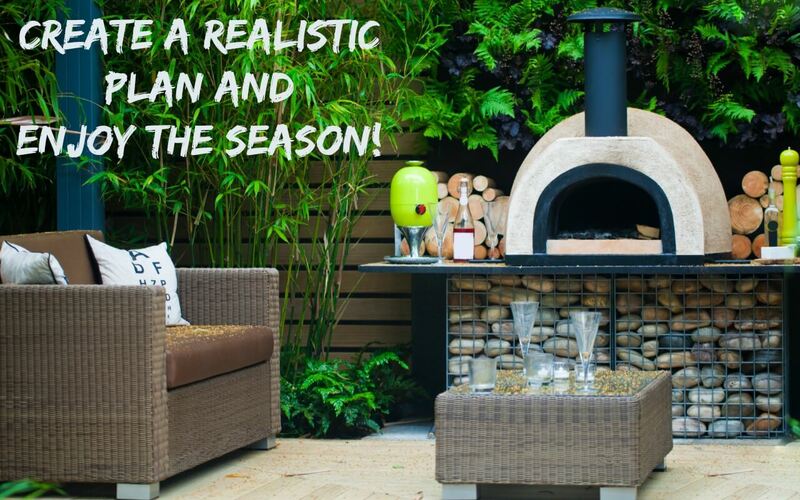 Create a rework plan for Fall and holiday posts. Take new ‘hero’ images for popular posts (lots of great light in summer). Plan newsletter freebies, content upgrades, or lead magnets. Identify outsourcing options for your blog. Finalize systems for performance tracking, taxes, or brand or blogger outreach. Diversification of blog income is just good business. 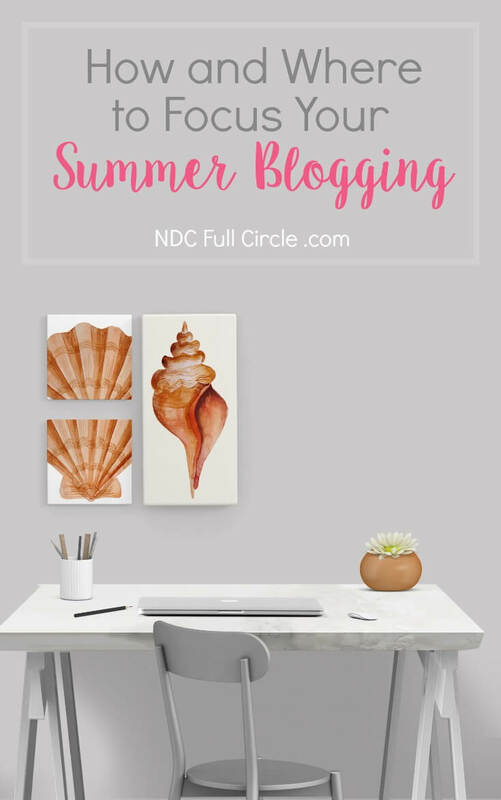 Because blog traffic dips in the summer, where can your summer blogging offset advertising earnings? Increase efforts in affiliate marketing, product promotion, or brainstorm services. Hire out or educate yourself on funnels. Join a summer mastermind dedicated to a single goal. Brainstorm and plan new product development. Ugh. Is it just me or do you all put off updating major things like WordPress, Genesis, and stuff that is just working well? Summer is the perfect time to optimize or update your blog. Move from HTTP to HTTPS (but be sure to recover social proof and social shares after moving to HTTPS). Analyze SEO performance and brainstorm new ways to optimize your most popular content. Investigate and implement on UX data you’ve amassed over the year. Implement and test new plugins, upgrades, or systems. All work and no play will drive you crazy and result in blogger burnout. Friends don’t let friends let blogger burnout happen. So friend, get out there and soak up the giggles, bubbles, sunshine, and laughter. I wish you a safe, happy, and dare I say it – relaxing – summer season. And if you’re worried about guilt, Ali’s got some wonderful ways to enjoy time off from blogging. 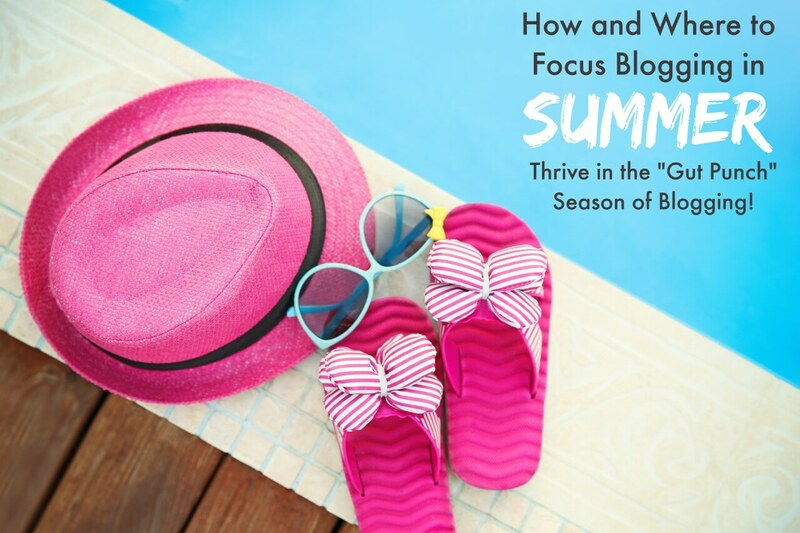 Blogging in summer can be a huge blow to the ego, psyche, and income. If you have a plan, however, you’ll realize how much you can push your blog forward during this time. I know I need to diversify my income streams. But I am still happy to see I am on track with my plans for posting and getting the new freebie (with possible paid option) ready. Very useful information.I had not considered a summer slump, but thanks for the great ideas.